Archbishop Tutu upped the ante in the dispute at St. Thomas over his appearance at a campus event. Tutu told the school he would accept the invitation only if professor Cris Toffolo is reinstated as head of the university's Justice and Peace Studies program. Tutu's stance gave a boost to faculty supporters like Lon Otto, who joined two dozen other faculty at a rally near campus. "It appears listening to Dr. Toffolo's advice would have saved the university tremendous embarrassment and prevented terrible damage to the institution's reputation," said Otto. "Her judgment was wise and prudential in this matter, and the administration's was not. We think it is the height of injustice she would be punished for this and be removed from her position." 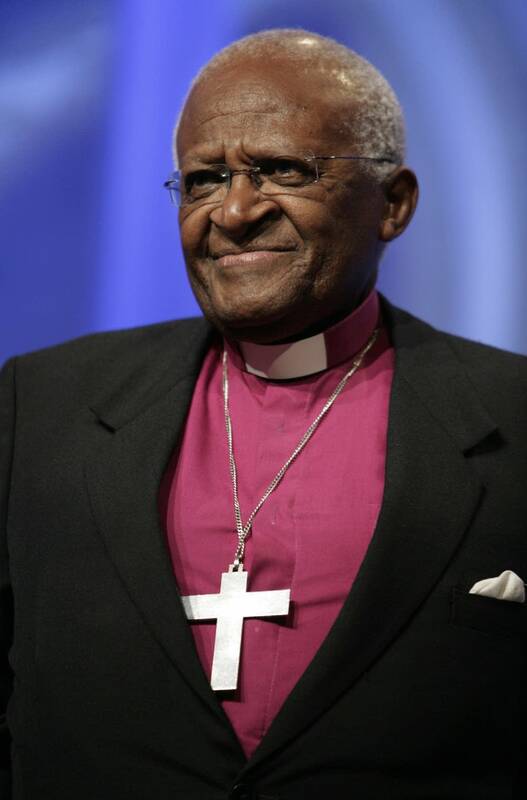 The administration's original decision reflected a perception that Tutu offended some Jews in a 2002 speech that criticized the Israeli government. University of St. Thomas President Dennis Dease later issued a statement saying the decision was ill-informed. Theology professor Sue Myers appealed to President Dease to reverse the Toffolo decision, as he did the original decision to not invite Tutu. "Father Dease has shown that he is a big person because he has already acknowledged that he has made a mistake, and I'm hoping he will again show principle and do the same thing in this affair," said Myers. University officials say Toffolo's dismissal is not a result of her opposition to the administration. Spokesman Doug Hennes says he won't comment in detail on personnel issues, but says Toffolo was removed from her post for actions she took since the Tutu issue arose. He says Tutu's request is a factor, but the next step is up to Toffolo. "We certainly will take it seriously. But we do have a process under our governance structure to deal with issues such as this," said Hennes. "In this case, professor Toffolo would need to file a grievance. Faculty committee would be appointed to have a hearing on the matter and make a recommendation to the president, who would make a decision on whether she should be reinstated." Toffolo herself says she's humbled by the support she's received. She believes her dismissal is directly related to her notifying Tutu and the group organizing the campus event of the administration's decision. "I did it in a very prudent way. This did not break in the press as a result of me sending a letter to Tutu. It was more a question of courtesy to him," said Toffolo. "I think writing a letter to an affected party is not the problem, although the administration may view that as the problem." Toffolo says she never intended to embarrass the university. "You would have been hearing me if that was my desire. I've taught here 16 years. My husband complains I'm a workaholic. I've devoted my life to this place," said Toffolo. "I'm very proud of the university. I've worked very hard to make it a better place, and hopefully I've contributed a little bit to that." The controversy over Tutu's appearance is the latest from the Catholic university intent on asserting its religious values. Last year the administration raised faculty ire over a policy prohibiting instructors from sharing living arrangements with unmarried partners during trips with students. Administrators also passed on permanantly hiring a faculty member after they learned she provided counseling at an abortion clinic. Professor Sue Myers points to what she sees as a lack of collaboration by the administration. "It seems to have something to do with management style that is not always respectful and listening, and very authoritarian, it seems to me," said Myers. University spokesman Doug Hennes says President Dease will explain the university's position to Tutu. Archbishop Tutu's original appearance in the Twin Cities is still scheduled for next April, but the event will be centered at Metro State University.